In a world where labels like ‘fake news’, ‘post-truth’ and ‘alternative facts’ threaten to undermine legitimate journalism in the public interest, professional training has, arguably, never been more important for the credibility and integrity of its practitioners. To be able to demonstrate that the stories and content generated by modern journalists is underpinned by rigorous training in accuracy, impartiality, balance and fair dealing and is delivered in way that meets the rightly demanding ethical standards of industry regulators is a powerful antidote to those detractors who may throw around those labels like mud in the hope some sticks. It’s neither silver bullet nor panacea, of course. But to instil in new journalists these essential values coupled with the skills of story-finding and story-telling plus the latest digital production tools has the potential to restore trust for those in whom it might be waning. And while the growth in those new tools is exponential, from the latest in mobile journalism techniques to the deployment of artificial intelligence in data-gathering and deciphering, a simple skill with a longer history still has an important contribution to make. Teeline shorthand is celebrating its 50th anniversary this year but in offering reporters a means of capturing verbatim material in a transparently accurate way it too chips away at the currency of the ‘fake news’ mud throwers. As a provider of journalism training, accredited by the National Council for the Training of Journalists, the Press Association is celebrating its own anniversary this year……its 150th as the UK’s most trusted independent provider of news and information. Those attending courses provided by PA Training have discovered over many years the combination of NCTJ accreditation and PA’s reputation in the news industry has opened doors for them, providing a great platform from which to launch their future careers. And Teeline shorthand continues to be an essential ingredient in all its courses. The Full-Time, fast-track course runs over 17 weeks offering news and sport options. The course runs in January and in August. From Week 5 those on the news pathway go on a newsroom placement while those studying sport have additional training and weekend match reporting opportunities. On the Part-Time course, delivered on Tuesday evenings and all day on Saturdays, trainees study over 38 weeks starting in mid-September. News and sport options are also available. This route allows trainees to work while they study. 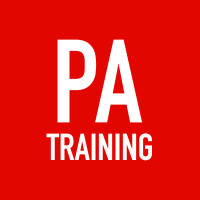 From January this year PA Training also started delivering NCTJ-accredited training to apprentices employed by national and regional news providers. It aims through its selection processes to seek out new talent for the industry with diversity, in every sense, an important consideration. This means working closely and collaboratively with the Journalism Diversity Fund who support many PA trainees. Trainees will learn those core skills needed to be a digital journalist with expert tuition and constant copy-coaching. They’ll also study Media Law, Court Reporting, Public Administration and Production. And that aforementioned Teeline shorthand tuition is provided almost every day of the course with the aim of getting trainees to the sought-after 100 words per minute threshold and the prospect of a ‘Gold Standard’ award. Training takes place at PA headquarters at Victoria in London and is co-sited with the Press Association newsroom. This means regular contributions from senior PA journalists and occasional opportunities for work experience, for example on the social media desk. Later in 2018 PA Training hopes to expand its operation to the north of England to create opportunities for those unable to study in the capital. So, with 150 years of heritage and the highest ethical standards underpinning the training delivered at PA coupled with a focus on new skills and innovation trainees have a perfect foundation on which to build a career as authors of real news: valued, trusted and appreciated by future audiences.